Up until a year ago I had never heard of a ‘labyrinth’. 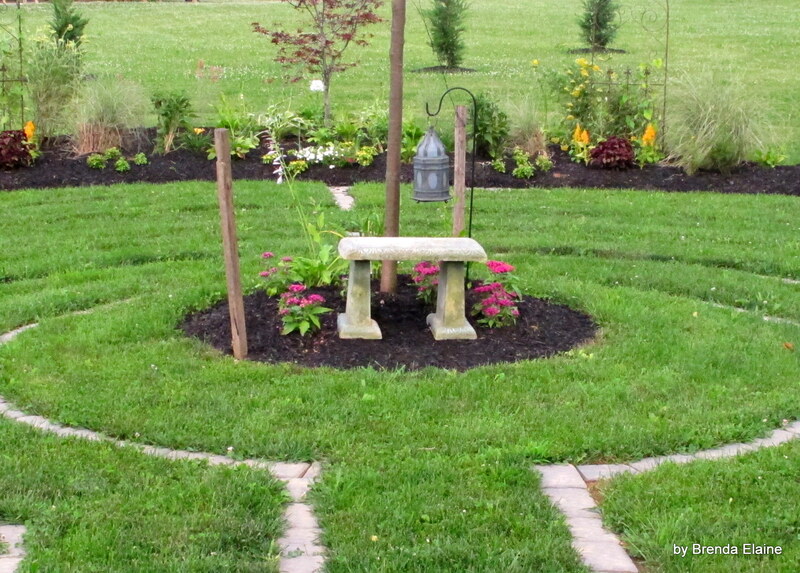 During a session with my Spiritual Director, she mentioned that walking a labyrinth might be helpful to me. We drove to on that was nearby and it was beautiful– surrounded by trees, gardens and next to a pond with a fountain. I had no idea the impact that little ‘walk’ would have on me. From the minute I took my first step across the entrance I began to forget about things outside of the labyrinth. One of the first things I saw was a rock with the word “Breathe” on it and I realized that I was tense and had been holding my breath. I consciously relaxed my body and slowly let my breath out. That simple act of letting go of my breath somehow opened up my heart. I know it may sound a bit crazy, but as I walked the grassy path it felt like I truly was somehow entering into the presence of God. I’m not exactly sure why, but the simple act of walking that labyrinth started a process that has enabled me to be more open and receptive to spiritual things. 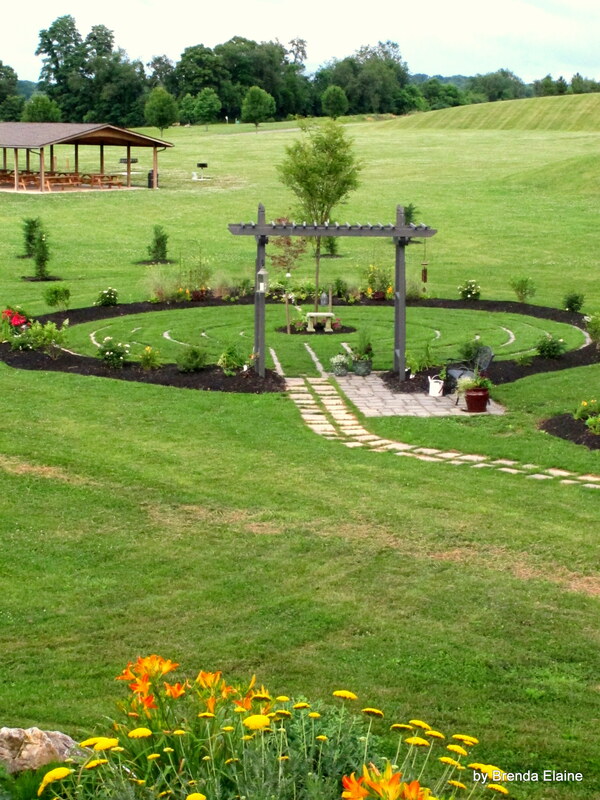 One thing I’ve done to continue that process is to be part of building a garden labyrinth at my church. (see pictures) It was a lot of work, but it felt ‘right’ to be doing it. It has been done partly as a memorial to those who are no longer with us and is a place where people can go and remember their loved ones and seek to find comfort and healing. I often go to the labyrinth just as the sun is setting—in the cool of the evening. 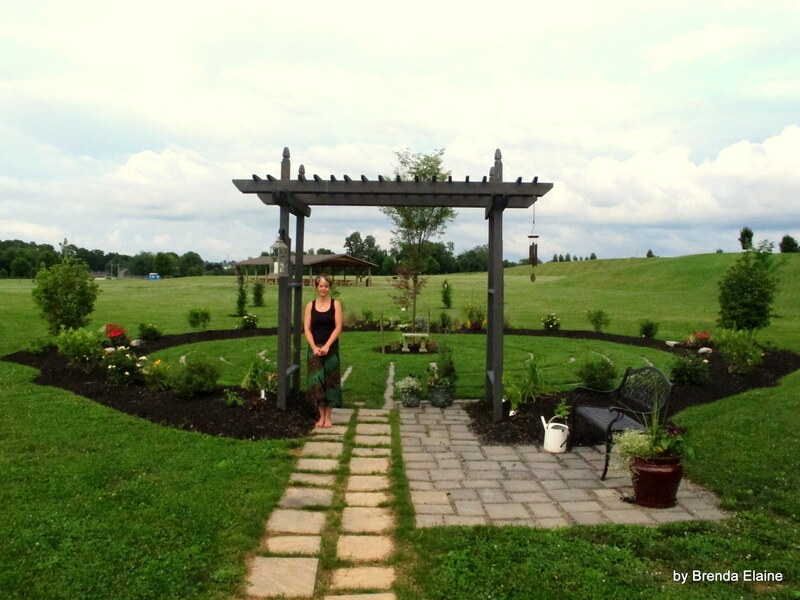 I walk up to the entrance, remove my shoes and begin to walk the grassy path to the center. Sometimes I have music and other times I simply listen to the night sounds. 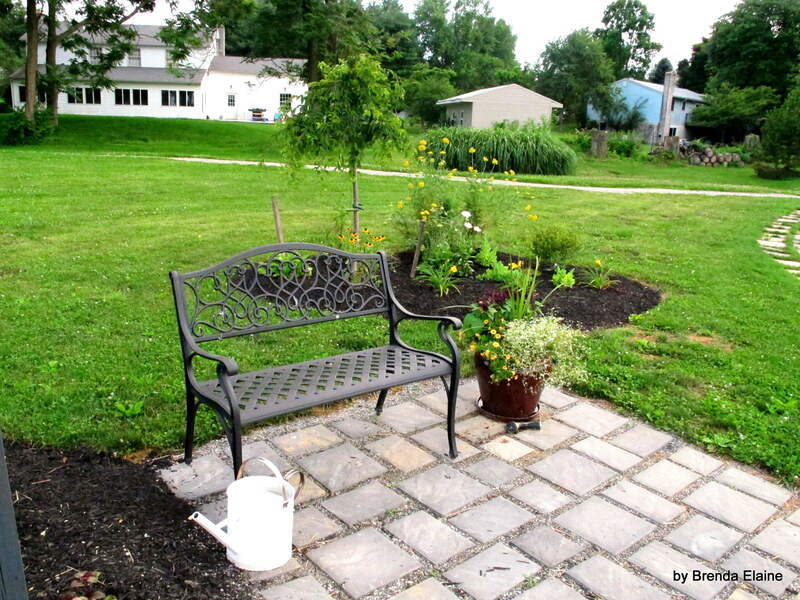 There is a tree and a little bench in the center and I usually find myself kneeling and allowing my soul to open up. As I pour out my heart to God a peace slowly begins to fill me. After a while I stand up and begin the walk back out. I can’t explain it, but I almost always feel comforted and a bit stronger to face the next day. Walking a labyrinth may not have this effect on everyone, but I am thankful that I have discovered one way that I can draw closer to God. I would encourage you to find whatever works for you. If you’d like to explore this further, Gary Thomas wrote a book called “Sacred Pathways” that talks about the different ‘paths’ to God that might be the way to help our souls open up to spiritual things. There is an entire spiritual world out there and we just have to find ways to become aware of it. For me, the labyrinth is one way I can do this. Sitting area at entrance of Labyrinth–can be used to prepare to walk or to wait for someone who is walking.